The Era of Sengoku, Ninja was distinguished Advanced, Intermediate and Beginner. 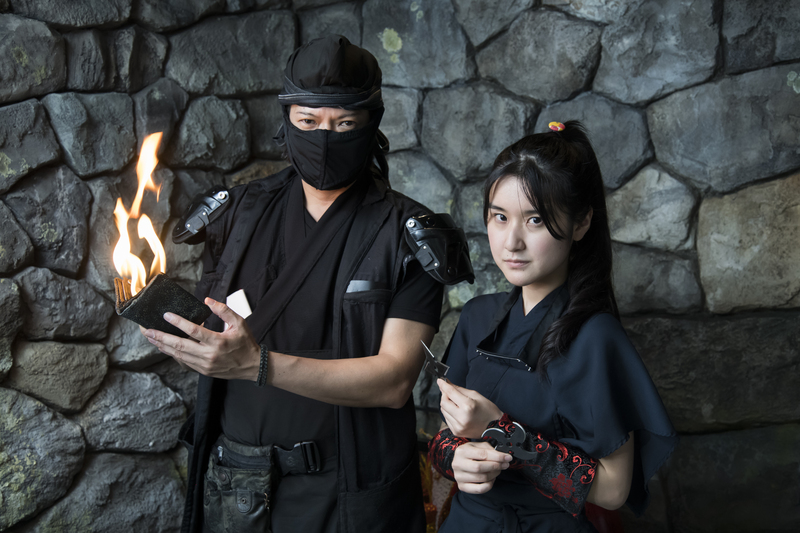 The world of war was over and in this country that built peace, descendants of advanced Ninja who survived in the dark world of the Era of Sengoku inherit blood and techniques. 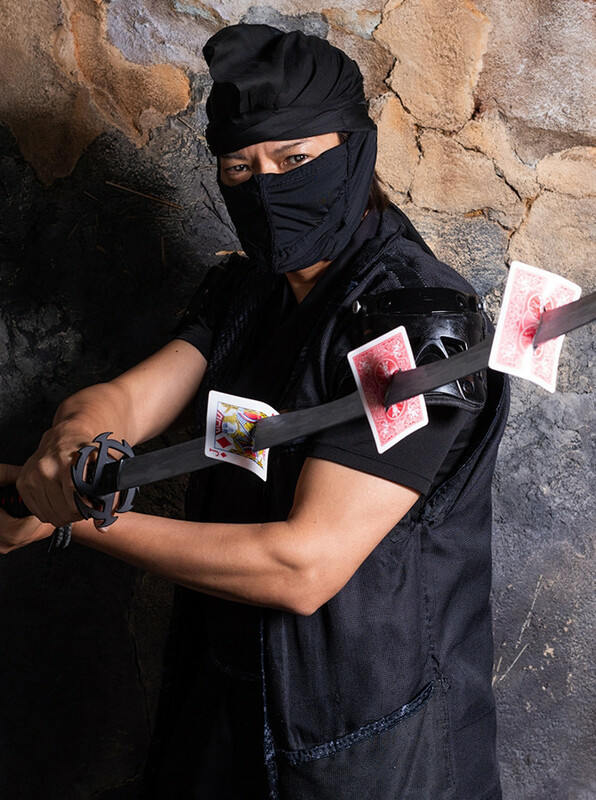 In modern day of capital economy, advanced master Ninja who live with changing temporary their appearance as a worldwide professional magician strives training daily in a hidden mansion of Shinjuku AJITO that is distant about 40 km from the village of Akasaka. 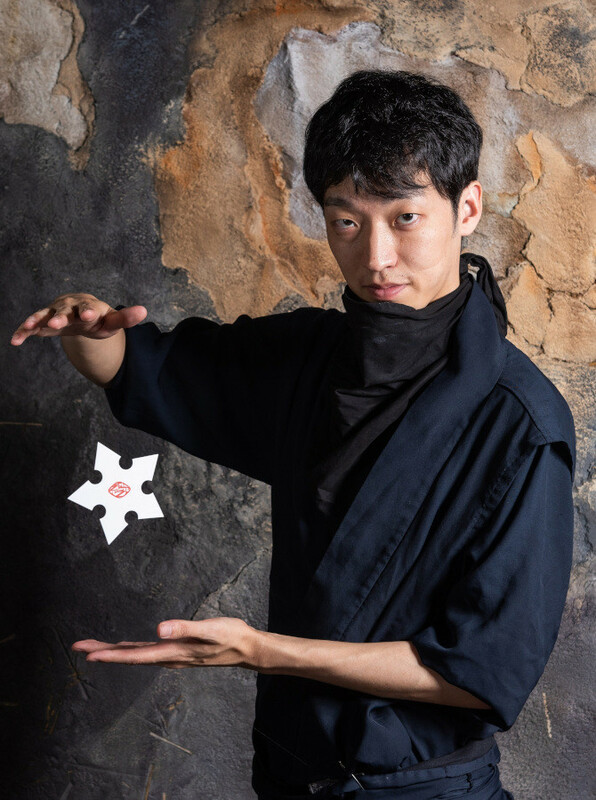 The Ninja arts of Ninja Restaurant Group is a Japanese style table magic by professional magician. 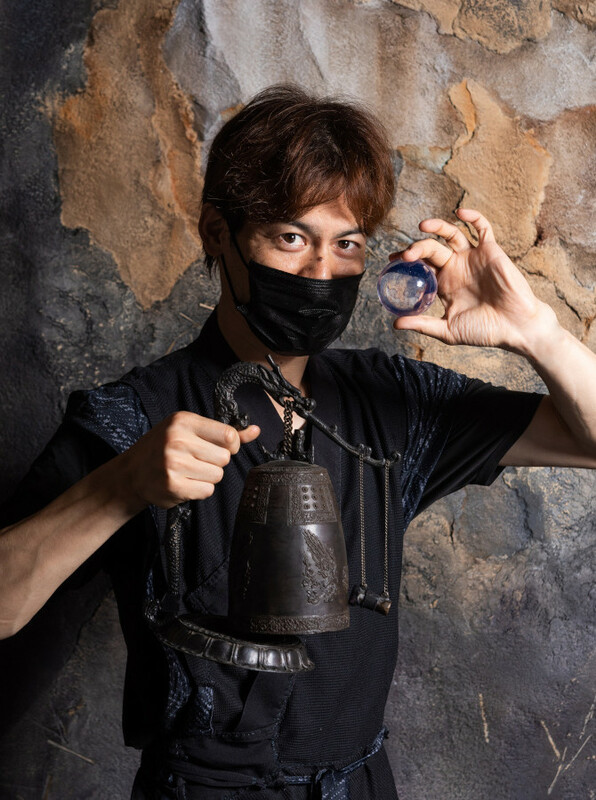 The trick itself is similar to ordinary magic, but the tools and methods used are different from magic. 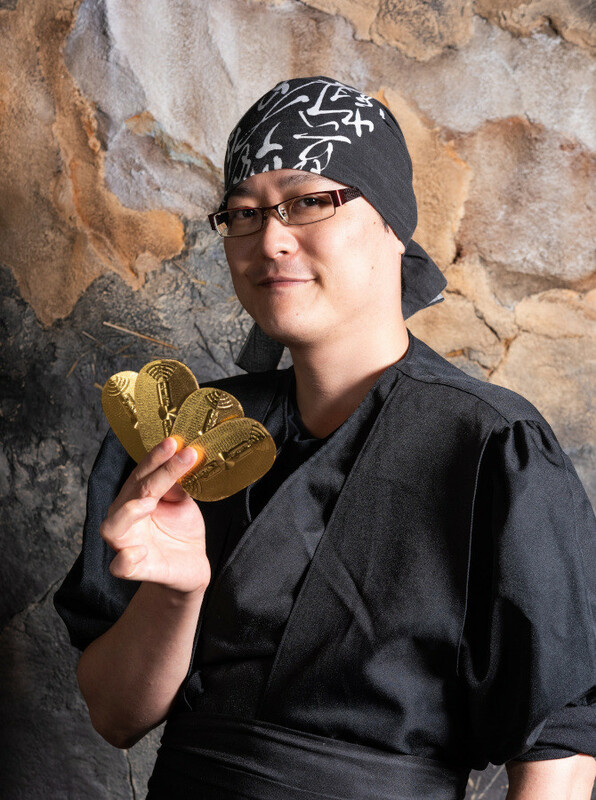 In the Ninja Restaurant Group, guests would enjoy the professional entertainment without any magic charge, thus chips and toasts drinks are most welcomed! 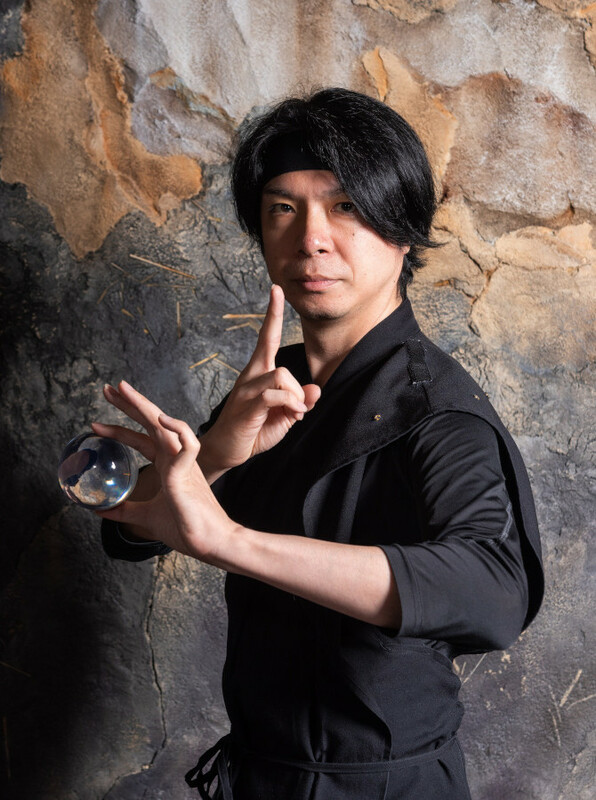 ◆Enjoy live show of Ninja arts by all means. There are many prince and princess who do not watch the show for focusing to take photo or video of your companion and master Ninja. If it possible, please refrain from shooting photo and video. 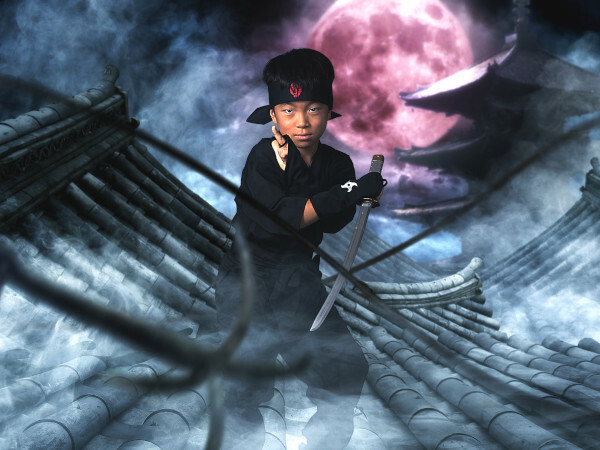 Please watch live Ninja arts of master who strives training daily. Even if you take picture and video, trick will never be revealed, so it is welcome that you take picture and video by fix tripod. Also, memorial photo after the show is also welcome. Please feel free to ask master Ninja. Why do not you change your clothes to Ninja costume? Let's enjoy your meal as Ninja fellow. We prepare size from children to adults. 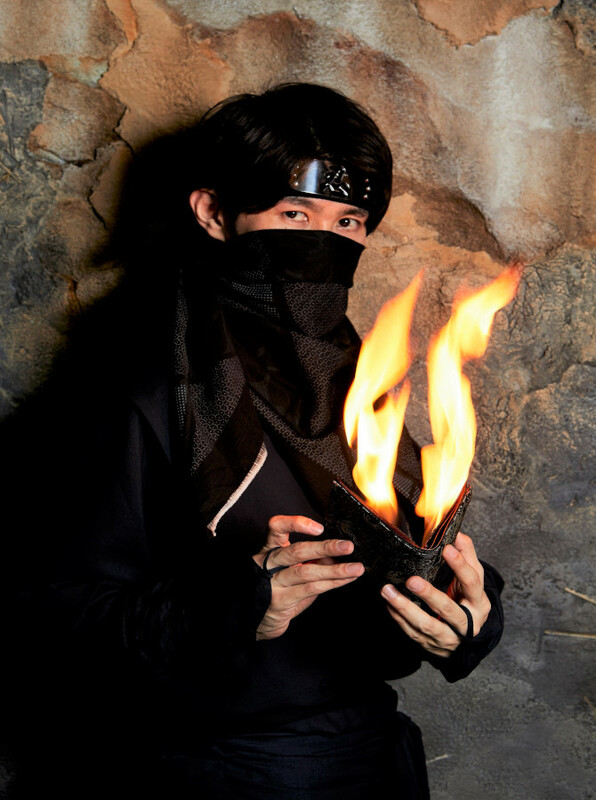 Since we prepare new Ninja costume, you can take it home. 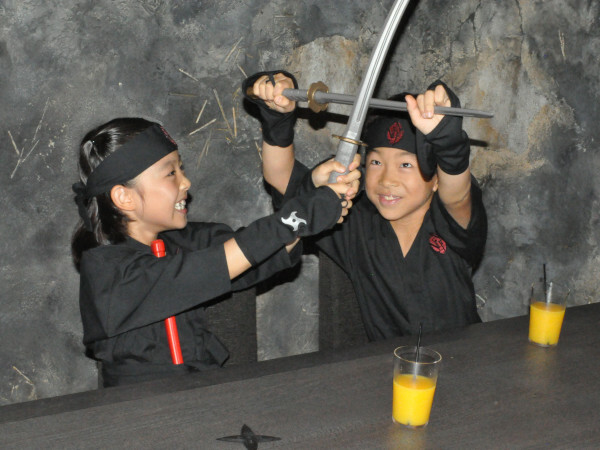 You need a reservation in advance for Ninja costume. Adults also wear ninja costumes and please enjoy becoming a ninja. 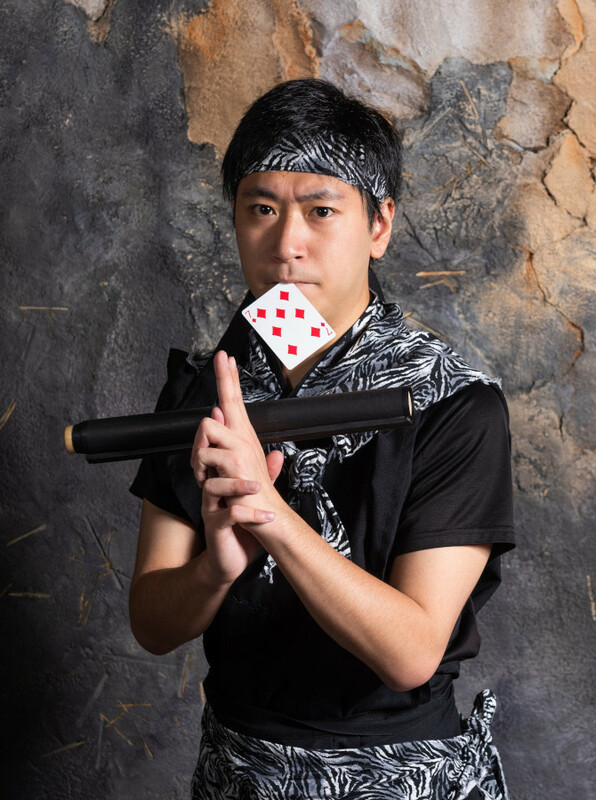 You can shoot full-scale at the photo studio with Ninja costume. 1 cut 1 background, including taxi transfers from restaurant to studio.